There’s no question that the 2018 Mercedes-Benz CLA performance goes above and beyond. With several features geared toward reducing fuel consumption and saving energy, as well as two distinct 4-cylinder engines, you’ll undoubtedly be in for a thrill when behind the wheel of this luxury sedan. 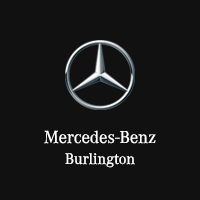 Learn more with Mercedes-Benz Burlington. Saving fuel and improving torque are the top priorities for the advanced direct injection that goes into the 2018 Mercedes-Benz CLA 250’s powertrain. This feature automatically powers down your engine when you’re at a stoplight in order to save fuel, and starts it up again when you’re back on the move. Adjust your driving modes as you need with DYNAMIC SELECT, which can be selected via shift paddles on your steering wheel. By purchasing the 2018 Mercedes-Benz AMG CLA 45, you’ll have a special version of the 2.0L inline-four under the hood, which is good for 375 hp. There’s no doubt that the performance features of the 2018 Mercedes-Benz CLA are brilliant. From the Rapid-Multispark Ignition system, to the turbocharged 2.0L Inline-4 engine, these features certainly enhance the driving experience, but there’s even more in store. A seven-speed DCT transmission sips fuel like a manual would, but provides the comfort and control of an automatic. Meanwhile, 4MATIC all-wheel drive guarantees confidence when winter weather strikes in the Burlington area. Top that with the Mercedes-Benz DYNAMIC SELECT system, and you’ll soon be the envy of others as you cruise around Lake Ontario. But the Mercedes-Benz CLA isn’t simply brute power: it also has a conscious. Thanks to the ECO Start/Stop function, you’ll not only experience a thrilling ride, but you’ll also save on fuel in the process. In any case, you’ll want to check out the 2018 Mercedes-Benz CLA performance for yourself, and you can do so at Mercedes-Benz Burlington. Want even more info on the Mercedes-Benz CLA? See how it compares to the Audi A3. When you are ready give us a call to schedule a test drive, but first, apply for financing online to expedite the process when you get here.